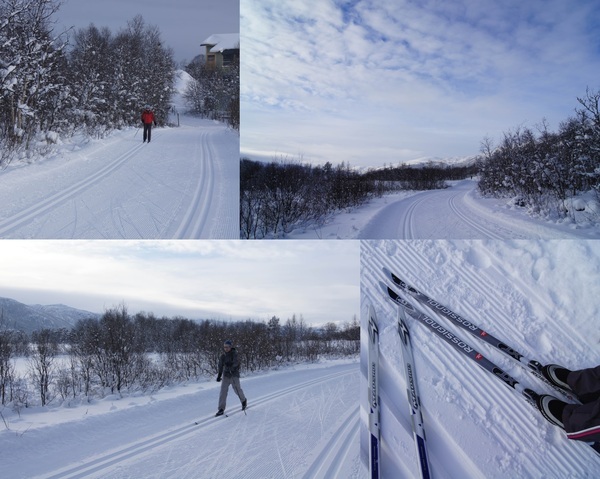 In Norway, winter is all about the cross-country skiing, a sport embraced by most of these healthy, active people. Last year, Jonathan and I hopped on the cross-skiing bandwagon with both feet. And promptly slipped and fell into the snow with a big, wet, surprisingly-bone-jarring thwump! It's tougher than it looks, and the Norwegians do make it look easy. Of course, the big joke in Norway is that Norwegian babies are born with skis on. I'll give you a second to rid your mind of that image, but don't scoff. Head out to any set of cross-country tracks in the Oslomarka on a sunny day, and you'll see children as young as three glide right by you. Fast. Without poles. Without fear. Only the kids who are too young to walk get away with being too young to ski, and they get the best of this deal, let me tell you. Why can't I ride in one of these fancy contraptions? Mush, Mom. Mush! Did you know that waxing your skis is an art form? Yeah, we didn't either. Jonathan read up on it, asked Norwegians about it, and practiced, practiced, practiced. But it isn't just the technique that counts. You also have to gauge the weather appropriately and run to the sports store to buy wax in the appropriate temperature category. If you use the wrong wax, the snow will ignore it completely. It will laugh at you meanly as you slide backwards down a shallow hill, in slow motion, feeling the pity of the Norwegians as they pass you. Oh, and you have to get to the store fast because, well, the Norwegians have a sixth sense for snow and will clean the place out of the 'right' wax before you're even out of bed in the morning. Our learning curve was a shallow one. A couple of slow, flat sessions at Frognerparken. And a poorly organized group trip up near Frognerseteren, where I ended up bending my brand new ski pole between two unforgiving, buried boulders. I'm amazed we still felt optimistic enough to continue, what with my many painful wipeouts, but we did. Jonathan purchased train tickets to Geilo, a town halfway between Oslo and Bergen to the west. The six-hour ride took us through some of the most dramatic scenery we've ever encountered. So much uninterrupted white under so much uninterrupted blue, even our sunglasses couldn't protect us from the glare. Once there, we stayed at Bardøla Høyfjellshotell , one of many resorts in Geilo. It was a weekend of record cold (for that winter), almost too cold to be out of doors. Not that this truth stopped us. 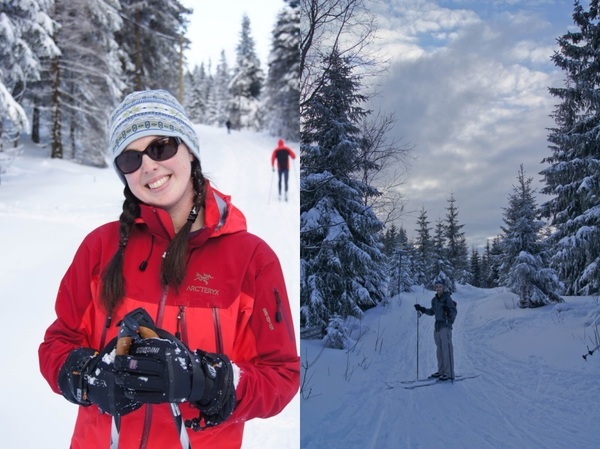 Bundled up from toes to crown, we hauled our freshly waxed skis down to the flatter lake track and began. We were out on the tracks for a few hours and saw almost no one. That's how cold it was. Even the Norwegians had the sense to stay inside! But we were feeling extra intrepid. Water froze in our bottles. My breath froze on my scarf. My eyelashes felt stiff and starry. When we returned to our room that night, my eyes were frozen marbles and my thighs wobbled every time I went to sit down. But we weren't done yet. 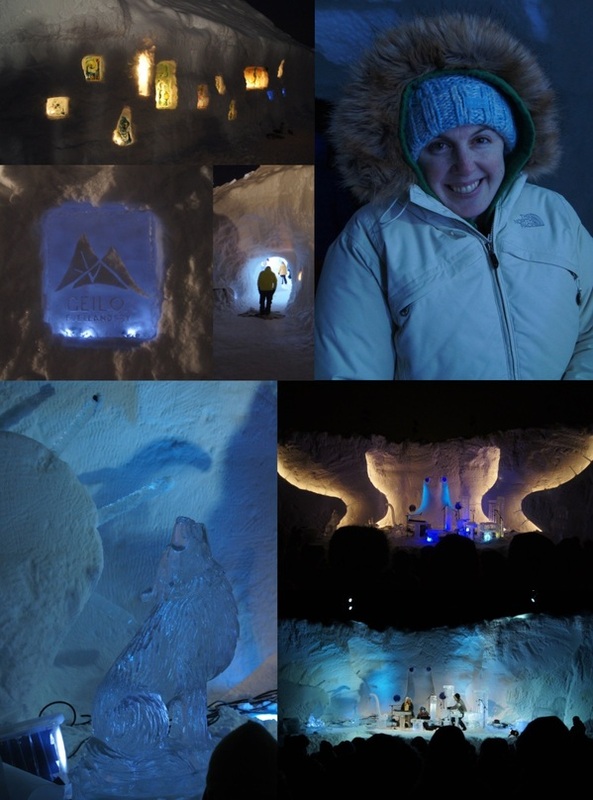 The annual Geilo Ice Music Festival was in full-swing that weekend, and we couldn't go home without paying it a visit. The shrieking, soul-sucking cold must have diminished our survival instinct, too, because the event we attended was the midnight Ice Music Concert, held in a stadium constructed of ice. The audience sat on blocks of ice covered by reindeer skins. I wore two-dozen layers, and still felt my heart chill and slow before the singers took to the stage. The music was almost holy, very much like the sound of the wind across an icy landscape. Go figure. Other than the keyboard, the rest of the instruments on the ice-stage were made of ice. The musicians had carved them from larger blocks earlier in the day. It lasted just under an hour, ending right about the time I realized I couldn't feel my extremities. Numb through and through. But worth it. I look forward to skiing again this winter. We'll probably pay money for actual lessons this time, and try to improve our kick-and-slide abilities under the guide of a real Norweigan. 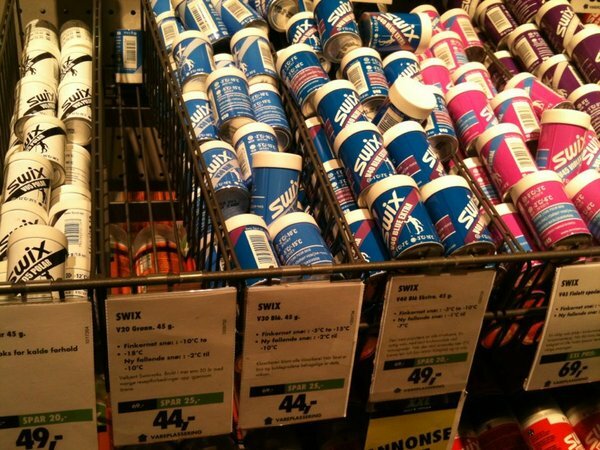 On that note, I think I'll run to the store for some Kvikk Lunsj and wax!